One of the first M6 builds, this compile of 4030 shows the striking red wallpaper introduced for this milestone. Very little has changed since the publicly leaked 4029 MAIN build, however it is currently the earliest build I've seen to feature the "3D View" menu option, even though it's quite unusable and doesn't draw icons. The old stalwarts Carousel and Panorama can be enabled, similar to later builds. I haven't shown much in the way of M6 builds so far, mainly because they mostly look the exact same, but hopefully I'll eventually document 4030.main, 4031.main, 4031.Lab06, 4032.Lab06 and some of the SKUs of 4038.main for the collectors. All throughout M6 the Aero Glass style was hidden and hackable into submission, but it wasn't until 4039 that it became easily enable-able, and that continued early on into M7 as can be seen in 4040 and 4042. Here we are, just a few days past the blog's first month on the web. So where are we? We've had ~3200 page views so far, with the two biggest traffic sources being aeroxperience and TheVista.ru, with TheVista translating the posts from this blog for their readers. A great welcome to all our Russian visitors, and glad you are enjoying the site! I've explained a little about the Longhorn VBLs (Virtual Build Labs), and had some rare, interesting information contributed. I also had a little mini-guide to extracting the WinPE version of a build from the disc. Thusfar, I think this blog has been successful, being able to bring a little bit of interesting information on Longhorn out to our readers. But what I'd really like is for some feedback! Do you have any comments/suggestions or even things you'd like to see more of on the blog? Please leave a comment on this post to share your thoughts, and spread the word! We've had a look at 4042.Lab06_N.030909-1709 already, so I thought I'd show the difference between it and its counterpart, 4042.main.030905-1800. Looking at the two builds side-by-side, you could be forgiven for thinking they're completely different OSes. The MAIN build is quite clearly still using Milestone 6 code; the boot screen, welcome screen, wallpaper and shell are almost identical to 4040. The LAB06 build however, 4 days younger, is completely different visually, and is much more stable and usable. Evidently this is around the time of the changeover to the newer Milestone code. Such is a massive engineering effort as all the labs are synced literally overnight as the new code is brought in. Anything that hadn't been reverse-integrated into main for the milestone is dropped. This explains why the LAB06 build is missing the experimental 3D features found in the MAIN build and other M6 builds; everything not stamped with approval for inclusion in the Milestone 7 code is shelved. That's not to say it mightn't be added back later - PDC03 showed us 405x builds with the "3D" view option put back in, and the 3D views are up and running again in 4066. The following information was contributed by an anonymous source who visited the blog, and to whom I am very grateful. It gives a rare taste of the politics and process going on behind Longhorn towards the end of the project. 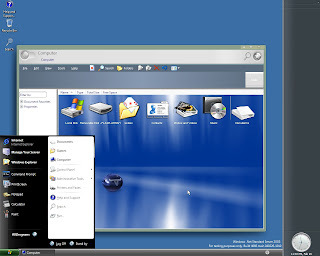 "Some acknowledge that LAB06 (shell, graphics and every other Windows client technology) was too big, considering the amount of Client change going on - given the quality guidelines in place at the time. By 'too big' I mean too many developers putting changes through that one LAB (every LAB did have a full copy of the Windows source - it's more a question about where a team would locate for purposes of early integration with similar changes, or conversely for isolation from others). Being unleashed in pursuit of numerous exciting 'big bets' all at the same time, the team created new features faster than they could be tested (rather, faster than they could be integration-tested together). Once something made it into a top-level LAB, it was relatively committed for inclusion. Backing something out of a top-level lab (especially once the subbranches have FI'd [Forward-Integrated, ed.] it, and particularly once other stuff comes in on top of it) was quite painful. Having so many eggs in the LAB06 basket was a dangerous situation. LAB06_N was the integration branch between MAIN and LAB06, the critical link where all the changes from MAIN met all the changes from LAB06. There was a stretch during which LAB06_N had a very tough time getting stable and performant[sic] - that was when talk started in earnest about a Reset being necessary. 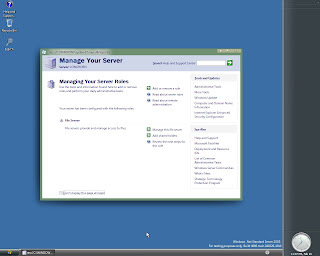 As the Server 2003 SP1 project was progressing very well (and included the maiden voyage of [Windows] x64 Client! ), it emerged as a starting point - a stable and performant modern client." I'll take a break from the usual and talk about WinPE, the graphical boot environment featured on Longhorn builds starting with M4. 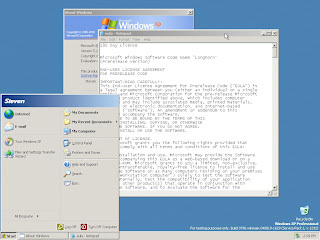 In its simplest form, a WinPE is a version of a build of Windows that boots to command-prompt directly from CD, supports networking and other GUI tools. 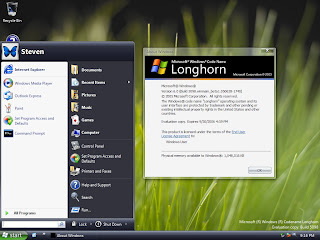 In Longhorn, WinPE launches the setup application which allows you to install the build, but you can easily access the command-line should you want to (Shift-F10 during setup). 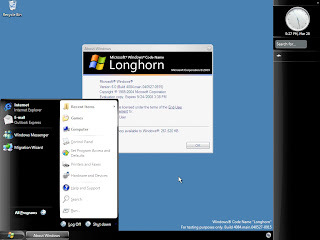 With a little creative thinking, one can extract the WinPE of a Longhorn build without much trouble and make a standalone boot CD. Firstly you'll need a version of ximage compatible with your build unless you're working with M6 or below. 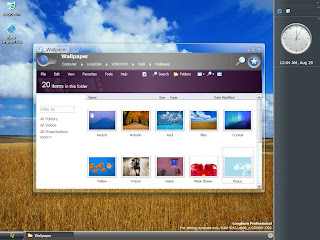 For Longhorn M7 builds you will need ximage 4059.0, available with a little searching on the web. 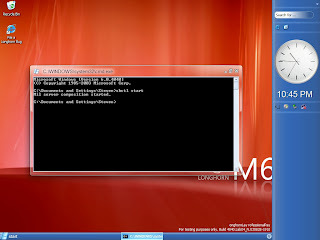 For this example I'll use Longhorn 4029, an M5 build. 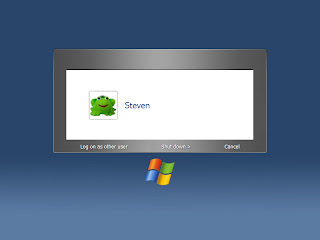 Copy the "boot" folder from the 4029 CD into this folder. It should be about 150-200Mb in size. You will then need to create a bootable CD of the C:\4029pe folder in the software of your choice. I use Microsoft's cdimage utility from ReflectiaX's longhorn boot fix pack, one can use mkisofs on Linux or Mac, or something like Nero. Specific instructions for this are beyond the scope of the article, but use the following file as your boot image (about 4Kb). 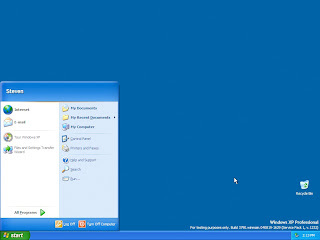 With an M7 build, the WinPE part is contained within the "install.wim" file as the first entry. 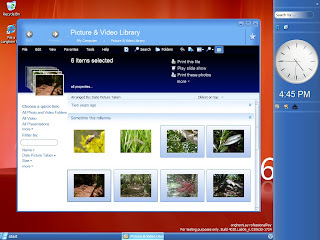 You must extract it using ximage, and then ISO it and make it bootable as described above. 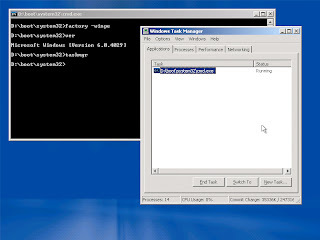 Sometimes there are catches, and some builds may require manual tweaking to get right (4085's NTDETECT.COM, an essential file, doesn't work quite right when made into a WinPE like this so it would need to be replaced with a working one, from 4084 for example). 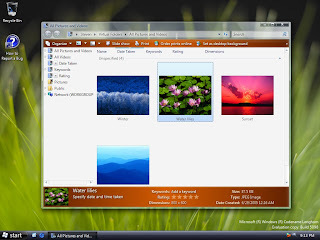 There you have it, a quick'n'dirty guide to creating a bootable WinPE disc. 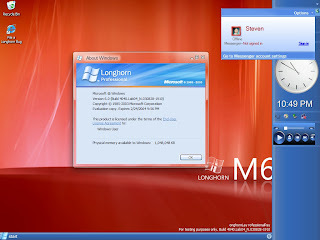 Around the time of WinHEC 2004 Microsoft realised that in its current form Longhorn was doomed. 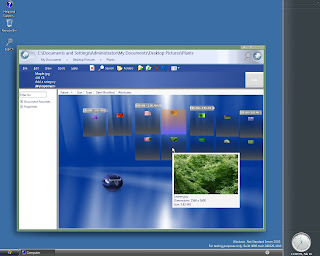 It was far too complex to reach the next milestone, componentisation (turning it into a fully modular OS). Towards the end of the Milestone 7 period it was decided to strip everything out to try and reach that goal piece by piece. The 408x and 409x builds are a result of that - pretty much everything was stripped out of the OS to get the system down to its bare minimum working configuration, with features being re-added as the OS was componentised. 4084 is one such build - everything, even as far as the wallpaper was stripped out. 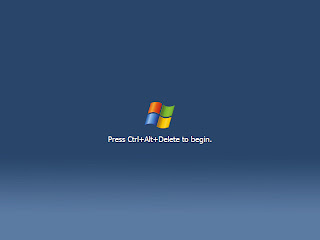 This was Microsoft's last ditch attempt before they accepted that the only way forward was to start from scratch and componentise before adding anything else to the OS. In the end, that is what Microsoft committed to doing and as a result Vista development was much more managed and doable. 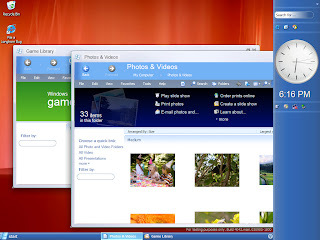 Beginning with the Reset, it took Microsoft a little over two years to create Vista. This is probably the most recent build that I'll document, being one of the last few compiles before Beta 1 (build 5112) was signed off. 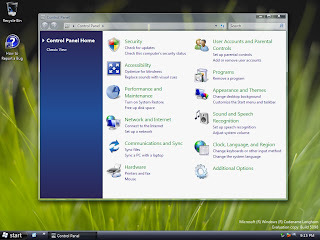 By this stage, everything was back on track and Microsoft had a great OS that was ready to be tested by the public for the first time. 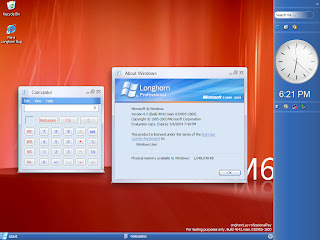 No longer a flawed and unattainable vision, Longhorn had been reborn with new focus - and with the push for Beta 1 Microsoft was able to show off the Aero Glass theme along with the introduction of LDDM video drivers. 5098 is about ten months into the development process, and as you can see it's a huge step from 5001. In just such a short time the Longhorn team had managed to a better state from scratch than two years of development prior to that could. 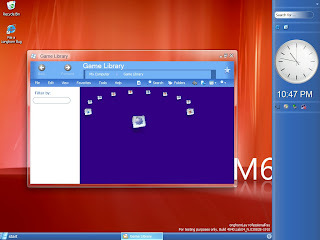 The major concepts were in - a DirectX 9-powered window manager, a new, easier to use version of the system shell, pervasive search throughout the OS including the Start Menu, and a new Games centre to manage the most lucrative of Windows application bases. 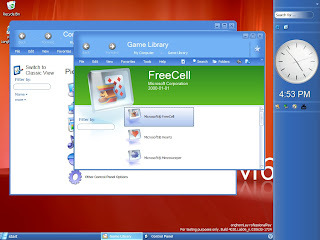 Let's take a step back in time from the last post; where it was one of the earliest compiles of Vista, this build below is the very first compile of Vista after the reset. In fact, it is so similar to Server 2003 (because it literally IS the same code) that even the theming service is disabled by default. There is only one way to tell that this build is a Longhorn build, and that is the EULA as pictured below. 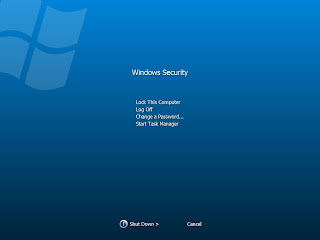 Other differences are zero-day activation : you must activate the build before you can log on. 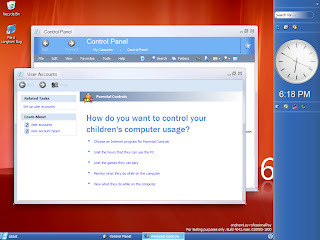 This is the earliest possible look at Vista and shows how far they had to go to get back on track once they reset the project. 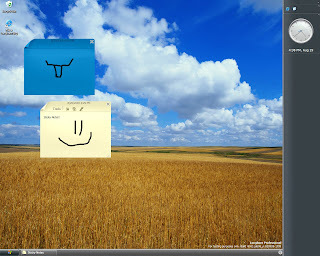 Well folks, here's a very early look at Windows Vista. 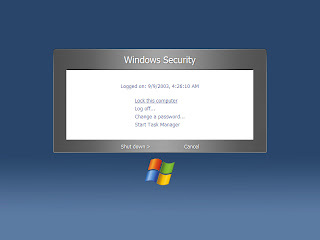 This is about a month after the "reset" when they were merely componentizing the Server 2003 code before trying to re-add any of the features built during the "Longhorn" period. 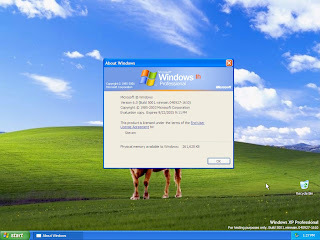 As such, this build is no different from XP, or at least a client compile of Server 2003. 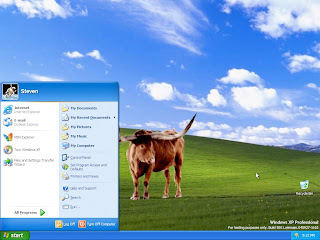 The only changes thusfar are the Longhorn wallpaper, and the Longhorn End User License Agreement present in the build. 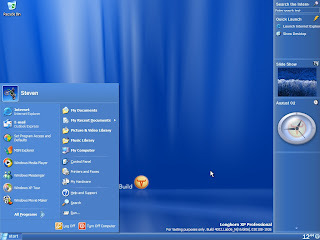 But make no mistakes, this is not XP, it's Vista - and you can clearly see that they started virtually from scratch after the reset.